If you’re thinking about switching to propane heat in Bridgeville, Delaware, contact us here at Peninsula. We can answer all your questions and help you make a well-informed decision. And when you decide, we’ve got everything you need to do it! Do you need propane delivery in Bridgeville? We do that too. Contact us today to learn more about propane and our other services. Thinking about switching to propane heating in Bridgeville, DE? Explore the “pros” of Peninsula propane and see the benefits of propane over other heating systems! We offer a FREE service that guarantees you’ll never run out of propane gas! We use sophisticated tracking and scheduling software to monitor your fuel supply and carefully examine past usage to determine when you are in need of a propane delivery. With our automatic propane delivery, you’ll never have to worry about your propane gas supply again! Contact us today to start your propane delivery in Bridgeville, DE! 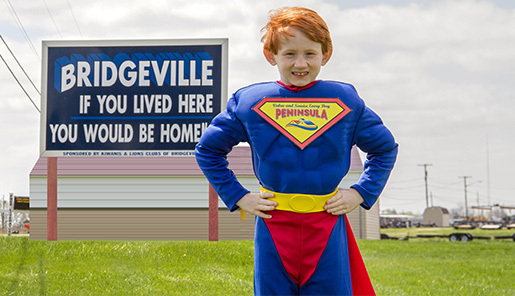 Why Choose Peninsula for your Bridgeville, DE Propane Company?